The Pro Arte Series SB Stencil Brushes make stencilling easy. 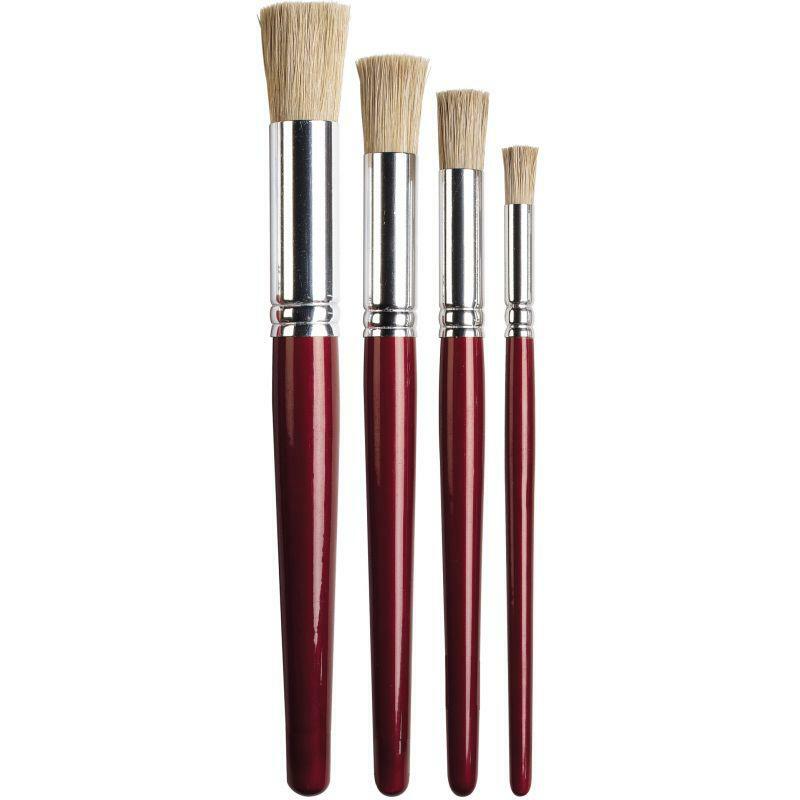 Made with high-quality hog bristles, these brushes feature short, chunky handles and a metallic scarlet finish. These stencil brushes are easy to use, giving your artwork a professional touch, whilst their flat base has been manufactured to distribute colour evenly on a multitude of surfaces, from paper to fabric. The Series SB Stencil brushes are easy-to-use brushes - even beginners can achieve professional-looking results. 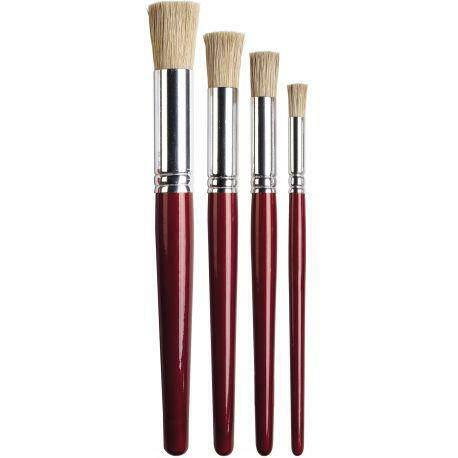 Specially designed to remain comfortable for the artist to hold over extended periods, these high-quality brushes make it easy to achieve maximum shading and highlighting. 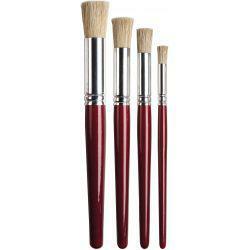 Each brush is flat-topped with short, stiff hog bristles and a short, chunky handle with a metallic scarlet finish. It also has a wide, flat shape and curved edges, meaning that colour is spread easily and smoothly across a variety of surfaces, such as paper, painted finishes, and fabric. Furthermore, your artwork is unlikely to be covered in hairs, as the high-quality nature of the tools mean that the brushes will hold firmly in place no matter how much pressure you place on them – whatever the task, these brushes are up to it! With 4 stencil brushes to choose from, you are sure to find a brush for all your stencilling needs, from finer details to large areas of negative space.